The High School is the logical extension of the principles of Neerja Modi School that begin in the first program. It is devoted to educating the individual in independent thought and ethical action. By stressing integrity as well as academic achievement, an NMS education encourages personal resourcefulness, intellectual rigour and social responsibility. The goals of the school in the new millennium are consistent with the philosophy that students should be "Industrious, Sincere, Open-minded and Independent." In addition, two values form the instructional methodology "Freedom, the right of students to develop at their own pace, and Co-operation or Interaction through group life," a recognition that to progress, all members of society of learners must interact and share. Students are offered the freedom to choose topics, which attend to their individual interests and needs and at the same time ensure knowledge in a broad spectrum of academic and artistic subjects. The NMS students body aims to be diverse in its interests and backgrounds; individuals thrive in the NMS community where the school's philosophy is to help each student progress as far as possible in an academic or extra curriculur interest. 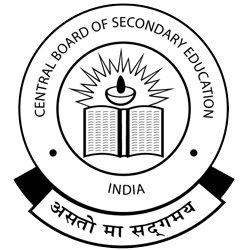 The school is affiliated with the Central Broad of Secondary Education (CBSE), India. The School is also a candidate for International Baccalaureate (IB) Diploma. The course is based upon an approach to course design which recognises the importance of developing the students' communicating competence. By this time the child will have mastered the skills of Reading, Writing, Listening and Speaking. As the school is hosting a lot of foreign and non-resident students and educators, development of skills in Hindi is as fundamental as the remaining ones. Hindi is taught to all students up till Grade VIII. Students are given a choice from amongst Sanskrit, French and German as the third language after Grade VI along with English and Hindi. After Grade VIII students are given a choice amongst Hindi, Sanskrit, French and German as the second language to pursue at the secondary level. French and German are being taught to class V, VI, VII & VIII at the third language level up to Grade VIII as required by the Central Board. Other languages, provided they are approved by the Examining authority, can be introduced subject to availability of the specific staff. Mathematics should be visualised as the vehicle to train a child to think, reason, analyse and articulate logically. Apart from being a specific subject, it should be treated as a concomitant to any subject involving analysis and reasoning. "With the introduction of computers in schools, educational computing and emergence of learning through understanding of cause-effect relationships and the interplay of variables, the teaching of Mathematics will be suitably re-designed to bring it in line with modern technological devices." acquire knowledge and understanding of the terms, symbols, concepts, principles, processes, proofs etc. Up to the grade X level Science is an integrated form is compulsory for all students. The teaching and learning of Science at this level in primarily directed towards problem solving and decision making on the basis of knowledge of the key concepts which cut across all disciplines of Science. to develop a love for all creatures man, animal, birds and sea life and appreciate their place and role in the eco-system, and their contribution to the concept of balance in Nature. Social Science is an integrated study of History, Geography, Civics and Economics. The main thrust is in the direction of the interdependence of these subjects in shaping a society, its people, their attitude and outlook. Considerations for others must be highlighted and selfishness downgraded. to promote an understanding of the processes of change and development through which human societies have evolved. to promote an understanding of human civilization and appreciation of the basic unity of mankind. to appreciate the contributions by various cultures to the total heritage of mankind and its progress. to develop a global perspective of the contemporary world. to develop skills and abilities to interpret geographical data and their overall impact on human life & civilization. to help children understand the various sectors of the Indian Economy, and plans and solutions to solve the problem of poverty, population, poor production and the helplessness of the farmer.